Andrei Codrescu. Photograph by Brian Baiamonte. Reproduced by permission. Andrei Codrescu is a Romanian-born American novelist, poet, editor, and radio commentator. Noted for his command of everyday American English in his writings, Codrescu writes spare, forthright poetry noted for its exacting language and imagery and playful, irreverent wit. His poetry, which reveals the influences of the Dadaist and Surrealist movements, has been likened to the works of Walt Whitman and William Carlos Williams for its replication of American vernacular. Youth in Communist Romania. Born Andrei Ivanovitch Goldmutter on December 20, 1946, in Sibiu, Romania, Codrescu was raised in the turbulent political atmosphere that followed World War II. By the end of the war, Romania was fighting with the Allies against Germany, but because it was under the sphere of influence of the Soviet Union, it became a Communist country led by Premier Petru Groza. As part of the Soviet-influenced Eastern bloc, Romania was Communist and followed a pro-Soviet agenda. Codrescu began writing poetry at the age of sixteen and continued to do so while attending the University of Bucharest, where he changed his named to Codrescu. He became involved with his country’s literary intelligentsia prior to publishing several poems critical of Romania’s Communist government. Escape to the West. Expelled from the University of Bucharest for his criticism of the Communist government, Codrescu fled his homeland before being conscripted into the army. Traveling to Rome, the young writer learned to speak fluent Italian and earned his master’s degree from the University of Rome. He then went to Paris and finally to the United States with his mother. Arriving in America in 1966 without any money or knowledge of English, Codrescu was nonetheless impressed with the social revolution that was occurring around the country as Americans changed how they looked at themselves, each other, and the world. At this time, there was a strong call for increased individual rights, including the civil rights movement, which sought to increase equitable treatment for African Americans and a burgeoning feminist movement that wanted rights for women. There was also a powerful antiwar movement protesting American involvement in the on-going Vietnam War. Poetry Influenced by Life in America. As Village Voice contributor M. G. Stephens relates, Codrescu quickly ‘‘hooked up with John Sinclair’s Artist Workshop. Within four years he learned to speak American English colorfully and fluently enough to write and publish his first poetry collection, License to Carry a Gun (1970). The collection was hailed by many critics who recognized Codrescu as a promising young poet. Codrescu then published his acclaimed second collection of poetry The History of the Growth of Heaven (1971), and followed it with two books of autobiographical prose, The Life and Times of an Involuntary Genius (1975) and In America’s Shoes (1983). In the early 1980s, Codrescu was also influential in that he founded the literary journal Exquisite Corpse and became a weekly commentator on All Things Considered, a popular show on National Public Radio. The same year, he published a collection of his broadcast essays Craving for Swan (1986), he published Comrade Past and Mister Present, a highly regarded collection of prose, poetry, and journal entries. Return to Romania. Codrescu returned to Romania after twenty-five years to observe firsthand the 1989 revolution, which shook dictator Nicolai Ceausescu from power. Ceausescu had gained power in the early 1960s, and while a Communist, moved the country away from Soviet influence over the next few decades. However, the dictator ruled his country with an iron fist and was not open to reform. A popular uprising removed Ceausescu from power with the help of Romania’s army, and he and his family were executed. The range of emotions Codrescu experienced during this time, from exhilaration to cynicism, are described in the volume The Hole in the Flag: A Romanian Exile’s Story of Return and Revolution (1991). Initially enthusiastic over the prospects of a new political system to replace Ceausescu’s repressive police state, Codrescu became disheartened as neo-Communists, led by Ion Iliescu, co-opted the revolution in the early 1990s. Though he agreed to ban the Communist Party and institute reform, Iliescu himself exhorted gangs of miners to beat student activists ‘‘who represented to Codrescu the most authentic part of the revolution in Bucharest,’’ according to Alfred Stepan in the Times Literary Supplement. ‘‘It seemed to him the whole revolution had been a fake, a film scripted by the Romanian Communists.’’ As Codrescu wrote of his impression and opinions of his mother country in the book, Romania remained unstable, marred by civil unrest and corruption, and economically impoverished for at least the next decade. Continued Literary Career in the United States. In preparation for his 1993 book and documentary film Road Scholar: Coast to Coast Late in the Century, Codrescu drove across the United States in a red Cadillac accompanied by photographer David Graham and a video crew. Encountering various aspects of the American persona in such cities as Detroit and Las Vegas, Codrescu filtered his experiences through a distinctively wry point of view. ‘‘Codrescu is the sort of writer who feels obliged to satirize and interplay with reality and not just catalogue impressions,’’ observed Francis X. Clines in the New York Times Book Review, who compared Codrescu’s journey with the inspired traveling of 1950s ‘‘road novelist’’ Jack Kerouac. While Codrescu continued to publish poetry volumes such as Alien Candor: Selected Poems, 1970-1995 (1996) and It Was Today—New Poems by Andrei Codrescu (2003) as well as several collections of essays, including The Muse Is Always Half-Dressed in New Orleans (1995), the author branched out into other literary genres. 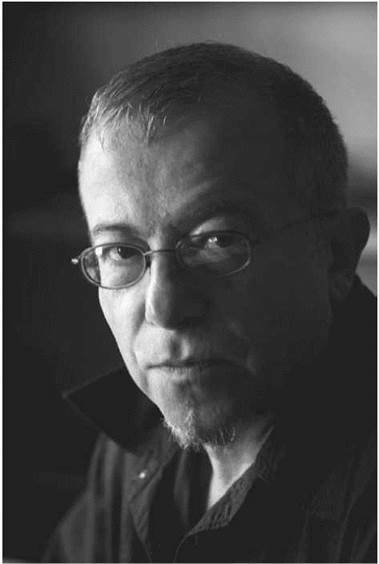 He published his first novel in 1995, the Gothic thriller The Blood Countess, and a collection of short stories in 1999, A Bar in Brooklyn: Novellas and Stories, 1970-1978. The novel drew on both his Eastern European background as well as his life in the United States. The title of The Blood Countess refers to Elizabeth Bathory, a sixteenth-century Hungarian noblewoman notorious for bathing in the blood of countless murdered girls. Codrescu tells Bathory’s gruesome story alongside a contemporary narrative about the countess’s descendant, Drake Bathory-Kereshtur, a U.S. reporter of royal lineage working in Budapest who meets up with various manifestations of Elizabeth before he is seduced by her spirit to commit murder. An English professor at Louisiana State University, Codrescu also continues to contribute to National Public Radio program All Things Considered. Nicolai Ceausescu (1918-1989): Leader of Romania from 1965 to 1989, he was deposed during the widespread revolutions that swept Eastern Europe that year. Mikhail Gorbachev (1931- ): Russian politician, winner of the 1990 Nobel Peace Prize, Gorbachev was the last head of state of the Soviet Union. His program of reforms and his efforts to reach out to Western leaders contributed to the end of the Cold War. Bob Dylan (1941- ): American singer-songwriter, poet, and author, Dylan first made his mark as a highly influential folksinger in the early 1960s. His lyrics and musical explorations blazed a trail for a generation of musicians. Robert Bly (1926- ): American poet and author, he was best known for his involvement in the Mythopoetic Men's Movement, a self-help movement based on the writings of Joseph Campbell. Codrescu writes spare, forthright poetry noted for its exacting language and imagery and playful, irreverent wit. His subject matter is largely autobiographical, often consisting of recollections of his youth in Communist Romania and his experiences as an expatriate living in Rome, Paris, and the United States. Codrescu eschews controversy in favor of a mock-revolutionary pose and a disillusioned yet resistant attitude. He is frequently commended for perceptive insights into American culture as viewed from a foreigner’s perspective. Oppression. Although Codrescu enjoys the freedoms that exist in the United States, he is still as critical of bureaucracy in his adopted country as he was in his native Romania—a skepticism that is made evident in his poetry and his autobiographies, The Life and Times of an Involuntary Genius and In America’s Shoes. The author uses his poetry and essays to focus on the idea of oppression, something which he fearlessly confronts. Cultural Differences. Just as Comrade Past and Mister Present compares East and West through poetry, in The Disappearance of the Outside: A Manifesto for Escape Codrescu discusses the matter in direct prose. He addresses such subjects as the mind-numbing effects of television and mass marketing, the sexual and political implications that are a part of language, and the use of drugs and alcohol in contrasting life in both parts of the world. Leaves of Grass (1855), by Walt Whitman. A lifelong project first published in 1855 and revised several times, this collection of poetry was highly controversial when first released due to its thematic focus on the sensual world and its natural use of language. On the Road (1957), by Jack Kerouac. One of the leading lights of the Beat generation, Kerouac wrote this stream of consciousness travelogue of America in the early 1950s. Ham on Rye (1982), by Charles Bukowski. Known for his gritty, street-level poetry and prose, Bukowski wrote this semiautobiographical novel about growing up in Los Angeles during the Great Depression. The book is filled with realistic, almost crude dialogue and characters, earning it comparisons with The Catcher in the Rye. 1. Although Codrescu has lived in the United States for most of his adult life, he still holds strong opinions on eastern European literature. Using past interviews and essays, research Codrescu's views on the literature of his homeland and neighboring countries and write a paper analyzing your findings. 2. Examine old copies of Codrescu’s literary magazine Exquisite Corpse. Is there a theme or pattern to the types of poems published in the magazine? How do you think Codrescu has influenced the magazine as editor? Create a presentation of your findings. 3. Compare Codrescu’s New Orleans stories with those of another author who sets his or her stories in that city—such as Anne Rice—in a presentation. How do the portrayals of the city differ between the two? What elements of life in New Orleans does each author highlight? 4. Listen to some of Andre Codrescu’s National Public Radio dispatches and compare them to his essays in a paper. How does his spoken-word work differ from his written work? What stylistic changes does he make to his language? Do you think his spoken or written work is more effective? Why? American Book Review (July/August 1990); (September/October 1995). Library Journal (July 1970); (May 11, 1990); (May 15, 1990). New York Times Book Review (January 25, 1987); (January 10, 1988); (June 30, 1993); (May 9, 1993) ; (July 30, 1995). Publishers Weekly (May 4, 1990); (May 10, 1991); (March 1, 1993); (June 21, 1993); (June 13, 1994). Times Literary Supplement (August 5, 1988); (October 9, 1992). Village Voice (December 31, 1970); (September 22, 1975).